JERUSALEM - Some 20,000 people turned out on Thursday for Jerusalem’s annual Gay Pride parade, flanked by police officers after threats by some Jewish activists to disrupt the celebration. In 2015, an ultra-Orthodox Jewish man stabbed a 16-year-old girl to death and wounded five others and was sentenced to life plus 30 years in prison. A rally at the end of Thursday’s parade opened with a minute’s silence to honor the girl, Shira Banki. 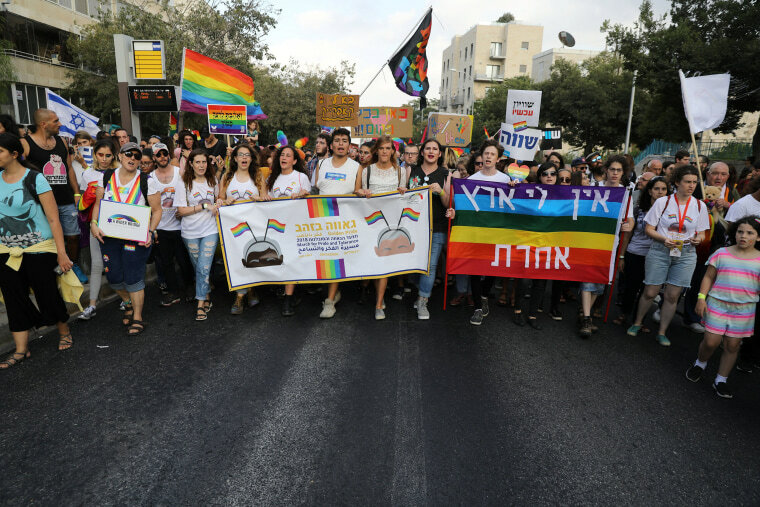 “I think this surrogacy law is a symbol of inequality and (shows) that the government has still failed to realize that the LGBTQ community in Israel is equal to anybody,” said Ofer Erez of the Jerusalem Open House for Pride and Tolerance which organized the parade.